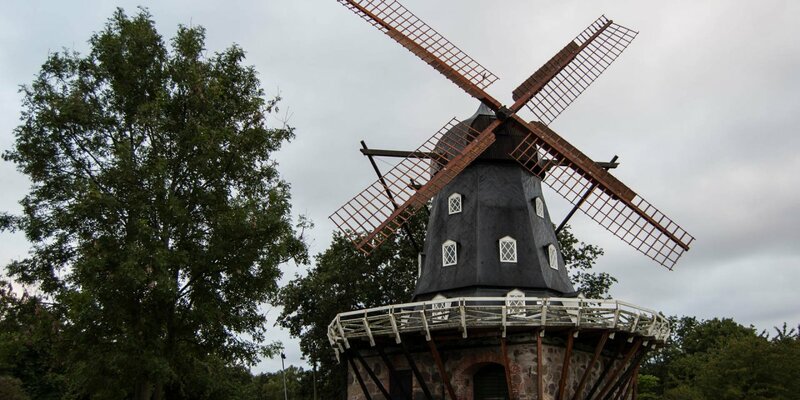 The windmill Bonderups Mölla was built in 1845 and is still fully operational. It is located about 15 kilometers southeast of Lund in the small village Bonderup close to Dalby. 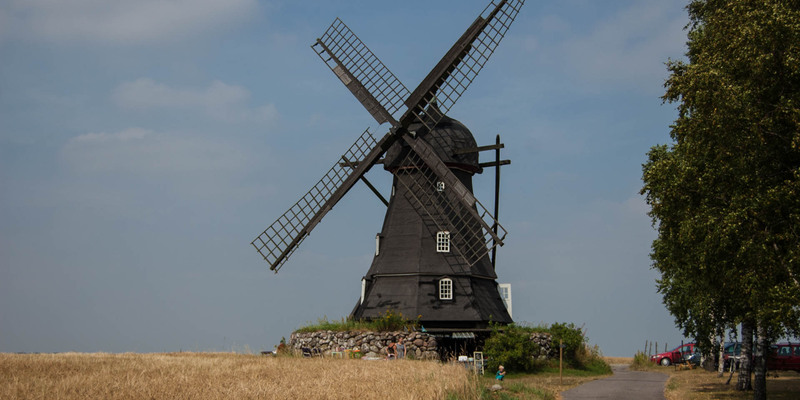 The mill body stands on a massive ground floor made of large stone blocks, is three stories high and the rotating cap with the mill wings has a roof in bulb shape. 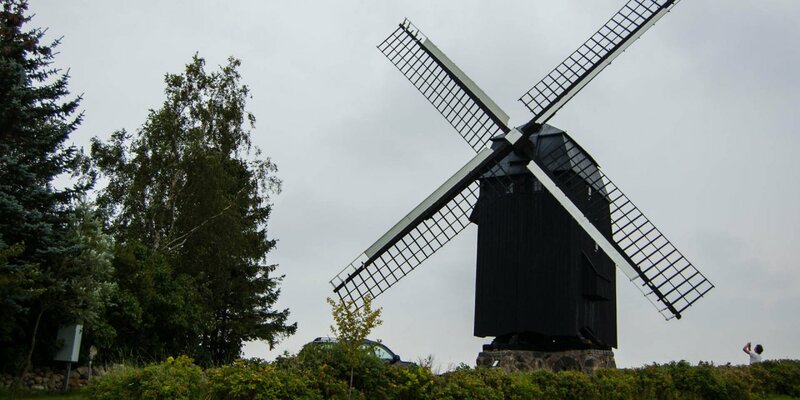 When the mill was shut down after more than 100 years of operation and in a poor technical condition in 1947, the heritage association Torna Härad bought the old mill to preserve it as a cultural monument. In the following decades the restoration works were repeatedly thrown back by major storm damage. The wings were severely damaged several times and the main shaft had to be replaced three times, until a steel shaft was installed in 1985. In the course of the next few years, the sails were renewed and old mill-typical objects were purchased, in order to make the furnishing of the mill as original as possible. The last renewal of the wings took place during a major renovation in 1998. Since a few years, there is a small café in the mill, which is open every Sunday afternoon in July. In addition to coffee and tea, it also offers home-baked waffles with homemade jam and fruit juices. 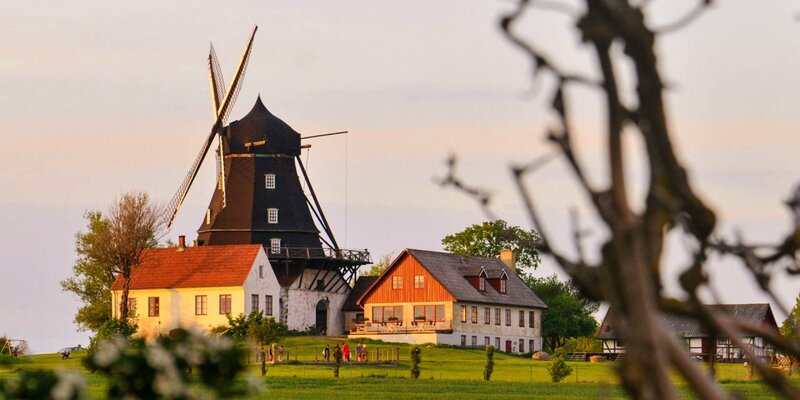 In good weather you can sit outside in front of the mill, enjoy the view over the fields and, with luck, also take a look inside the mill.